The University of Cape Town (UCT) is piloting online programmes as part of it’s Across Africa initiative, offering business professionals nationwide access to part-time, credit-bearing courses with South Africa’s leading university. The Postgraduate Diploma in Management (Marketing) is the first to be presented in blended learning format in partnership with premier online education company GetSmarter, whose innovative high touch online learning model has enabled this move. Since GetSmarter’s inception in 2008, focus on high touch learning has seen year on year company growth, with student completion rates maintaining an average of 94% to date. This, along with ever-increasing student numbers, underscores GetSmarter’s commitment to first-class quality products and service. Testing global industry trends for adaption to our unique local context, Sam Paddock, GetSmarter co-managing director, provides context to this: “For many years now, people have taken a view that online education is all about the technology. In fact, the implementation of online courses and e-learning programmes focused solely on the technology, have failed. We see the need to introduce a human element; to add more people, more connection, more relationship. GetSmarter speaks for a view that relationships lie at the very centre of effective online learning.” ? For this reason, the highly interactive learning model provides continuous proactive support throughout the process, including daily academic assistance and constant administrative support via email, SMS, telephone and discussion forums. Instructors focus on supporting students through their subject matter requirements with continuous feedback, allowing students to monitor their progress and identify key areas for improvement much sooner than in traditional long-distance learning programmes. 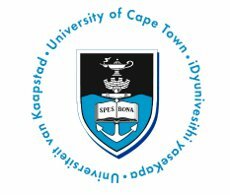 Traditionally offered only to students physically based at the UCT Cape Town campus, the UCT Postgraduate Diploma in Management (Marketing) in newly blended learning format is available online, nationwide to business professionals from the beginning of 2014. For further information, visit http://postgrad.uct.ac.za or contact Chris Hosken at 021 447 7565 or [email protected]. GetSmarter is a premier online education company delivering high touch online education and an immersive learning experience. Partnering with prestigious universities and leading organisations to offer a variety of online courses and education solutions, services are aimed at both tertiary and corporate institutions. Visit www.getsmarter.co.za for more information.